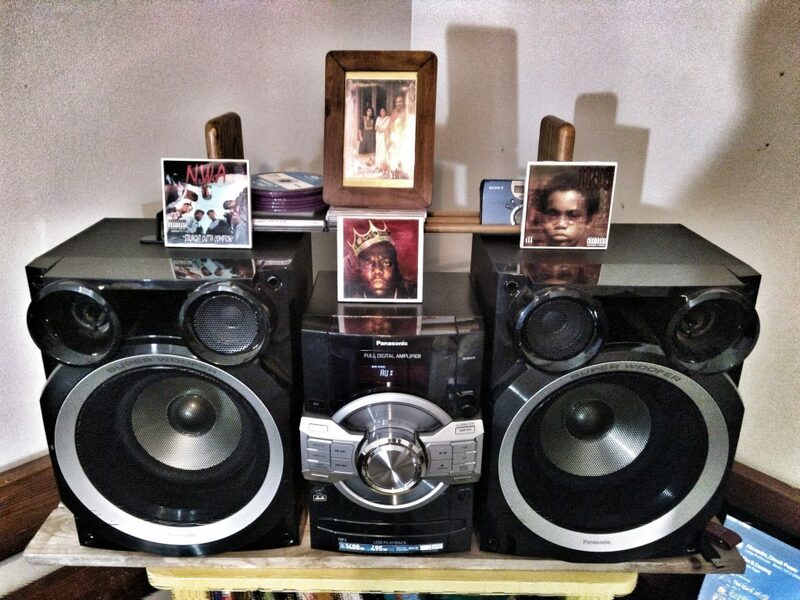 I bought a fairly powerful Panasonic stereo on Craigslist. It has CD, AM/FM radio, AUX input, and USB input. Originally set it up on the carpet, but Patty dog sheds a lot and I didn’t think the system would last very long with dust and dog hair flying into it all day and night. The stereo didn’t come with a FM antenna, so I had to figure out something for this. I tore apart the headphones that came with my Samsung Galaxy S4 and loosely attached the headphone wire to the antenna port. I wanted to listen to MP3’s, FLAC files, and podcasts. 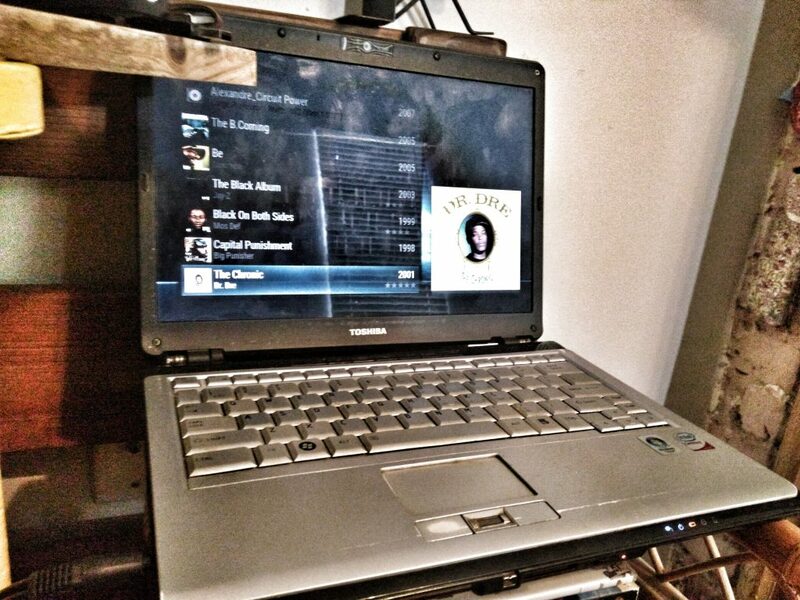 I had a old laptop that was gifted to me a year ago (Toshiba Core 2 Duo with 2GB RAM that I installed Ubuntu 16.04 on). 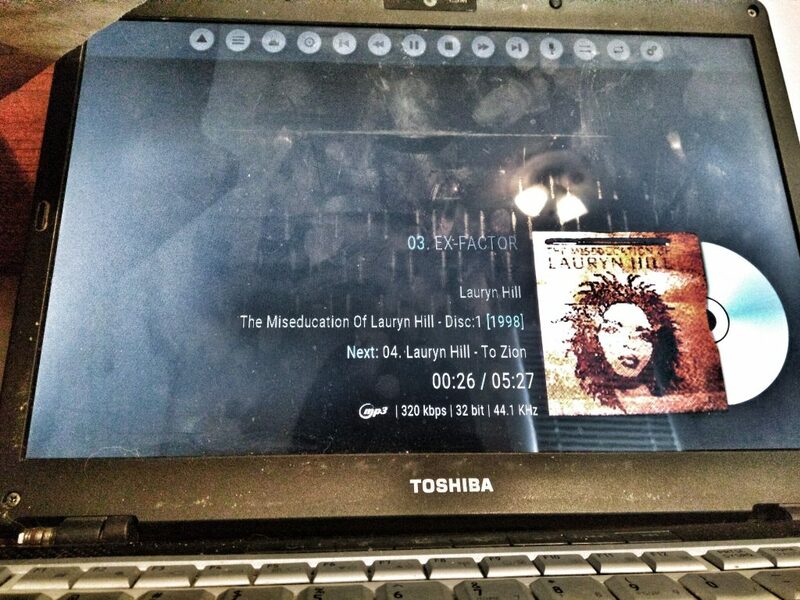 So I wanted the laptop hooked up to the stereo, and I wanted to use an old smartphone (Alcatel Idol OneTouch 5.5) as a remote to control digital media playback on the laptop. This is where I started having issues. I read awesome reviews and saw a lot of people using it on raspberry pi’s to set up awesome music servers, but I simply couldn’t get it installed. Differing versions of Python, all kinds of errors, dependency-hell, just ended up giving up. Attempt 2: Installed Rhythmbox + Web Server Addon + Rhythmbox Android Remote Realized I was making things more complicated than need be and that Mopidy was sort of overkill. 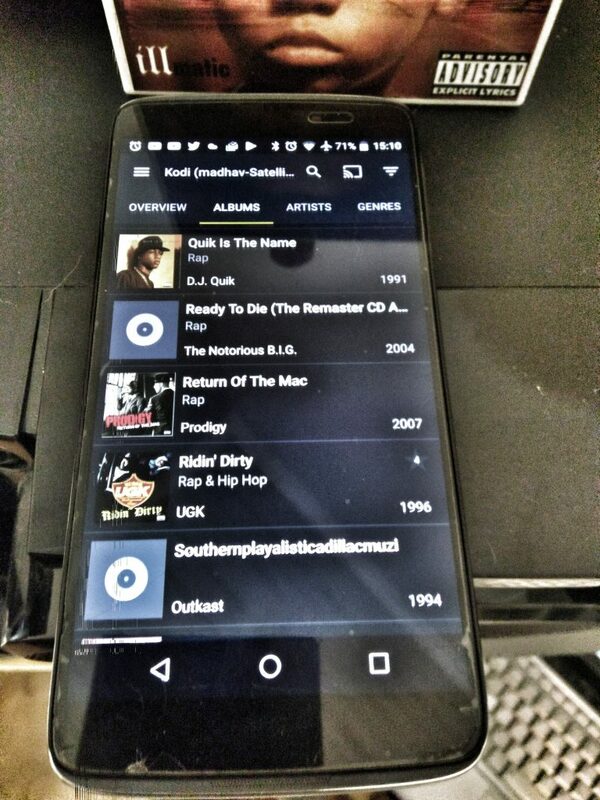 Installed Rhythmbox & addon & Android app, added mp3’s to rhythmbox library, and was able to control music through Android app and it would play perfectly on stereo. So music was good, but I added my podcasts in Rhythmbox on the laptop, but the Android remote app wouldn’t allow me to access the podcasts – only music. So removed Rhythmbox. I’ve used Amarok & then Clementine since 2007ish and love it as a desktop music player, and I saw that the Rhythmbox Web Server addon was a fork of the the Clementine Remote App, so I figured this was going to be the solution. Alas, same issue with the Android remote app not allowing me to control podcasts. I’ve used Kodi for video purposes for many years now, and I’ve succesfully used Yatse (Kodi Android Remote) to control Kodi with my Android phones, so I thought to myself, well, this is truly severe overkill as I don’t need any video functionality, but this may be my best bet as I figured there’d be tons of Podcast addons for Kodi and things would be great. So I added music library to Kodi, but saw there weren’t too many highly-rated podcast add-ons. I remembered seeing sharing options in the Android share panel along the lines of “Yatse – Play on Media Center”. So I said, hmmmm, what if I just continue using Stitcher for Android for podcasts and then just stream them to Kodi using the share option. Sadly Stitcher didn’t have the Share option, so had to figure out something else. I downloaded AntennaPod for Android, and added all my podcasts. Downloaded a podcast, selected the Share button, selected “Play on Media Center”, and sure enough, Kodi began playing the podcast. Success! Checked logs, couldn’t find errors. So basically had two weeks rebooting the laptop once or twice a day and Yatse-Kodi would re-pair. Also, I’d play one podcast, and after it ended, I’d try to listen to a second podcast, but by that time, Yatse and Kodi would unpair. Very frustrating. Thought maybe the “Play on Media Center” option was affecting Kodi, so decided to try something a little different for podcast playing. Downloaded SyncThing for Android and synced podcast download folder to a Podcasts folder on the laptop. Added the laptop’s Podcasts folder to Kodi’s library, so now the individual podcast downloads are actually on the media center laptop. Things were anecdotally a little smoother, but phone to laptop connection issues persisted. My home wireless setup is as such: router in back of the house and extender in the middle, which allows me to actually stream video and such on TV (located in front of the house). 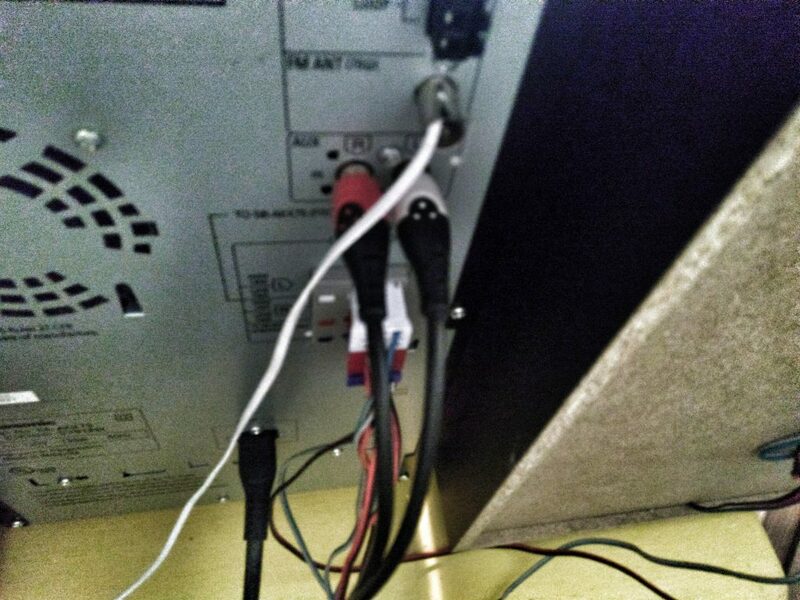 Through some testing, I realized that if the laptop was connected to main router and phone was connected to extender (or vice-versa), Yatse and Kodi wouldn’t interface. Being that my room is in the center of the house, and I was only dealing with music (so very low bandwidth requirements compared to video), I decided to use the “Guest Network” feature in the router’s admin dashboard to create a seperate wireless network to be used only by the Yatse remote device and the Kodi laptop, that way they wouldn’t be jumping back and forth from main router to extender (and vice-versa) and they’d always be on the same network. 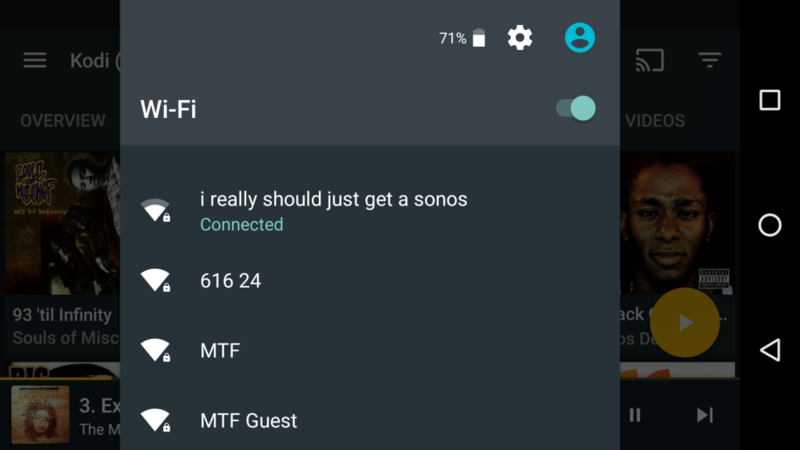 I named the new network “i really should just get a sonos”, and I’m now at six days with no issues whatsoever!